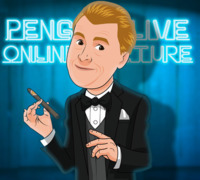 Today, when you order "Tom Mullica LIVE", you'll instantly be emailed a Penguin Magic gift certificate. You can spend it on anything you like at Penguin, just like cash. Just complete your order as normal, and within seconds you'll get an email with your gift certificate. 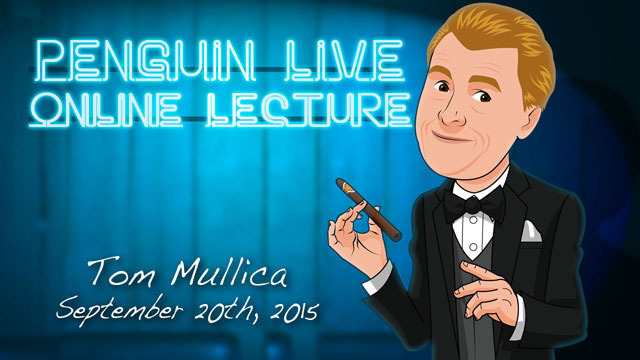 Tom Mullica LIVE (Penguin LIVE) One of the greatest variety performers of our time teaches YOU his signature routines. SUPPORT LIVE MAGIC. DOWNLOAD THE FULL LECTURE TODAY. Johnny Paul & Jim Ryan's Bill Tear A borrowed bill is borrowed and openly torn into many pieces. That's it. It's just funny. Jim Ryan's Cards Across My favorite card trick. It's the familiar 'cards across' theme with an emphasis on entertainment. One of my signature routines. 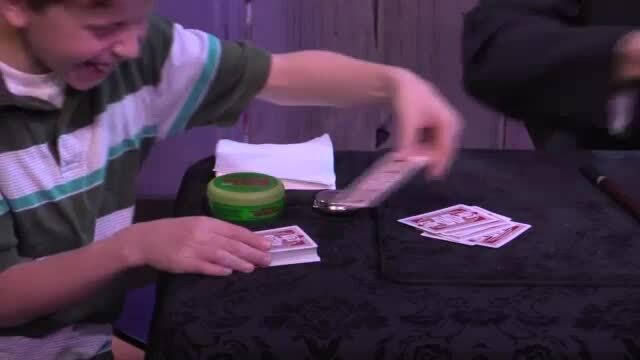 Tom Mullica's Number Trick A card is selected and returned. I ask a spectator to give me a number between one and twenty. When the number is called, the selected card is found face-up at that position. It is then repeated. Tom Mulllica's Pantomime Cigarette I remove a piece of cigarette paper then start to roll an imaginary cigarette. A lighter is then removed from the pocket and the pantomime cigarette is lit and smoked. The Mullica Wallet Basic card to wallet effect accomplished with the EASIEST card-to-wallet-wallet. History and demonstration. As well as discussion (and possible performance!) on dozens of other effects. Tom Mullica's love affair with show business began in 1953 in Waupun, Wisconsin when, as a five-year-old child, he decided to be a clown. Two years later he discovered magic and not long after combined the two. In addition to magic and clowning, he is a highly skilled ventriloquist and pantomimist. Tom is now CEO of Van Blaine Productions. Tom enlisted in the Army at age 18 and after 3 years in Korea and Germany, moved to the magic capitol of the world, Colon, Michigan, where he built illusions and demonstrated magic for the famous Abbott's Magic Company. Tom then moved to Atlanta, Georgia where he attended bartending school and opened his own nightclub called The Tom-foolery Magic Bar Theatre. His popularity in Atlanta led to an appearance on Late Night with David Letterman, World's Greatest Magic, Penn & Teller, Viva Variety and hundreds of television appearances throughout the world. With countless hotel and casino performances in Atlantic City and Las Vegas, Tom Mullica remains one of the greatest variety acts of our time. Between 1976 and 1987,the Tom-foolery was visited by countless notables -including a longtime favorite of Tom's... Red Skelton. Red visited the Tom-foolery in 1980 and liked the show so much he spent two hours with Tom afterwards. Tom occasionally included some suggestive material in his comedy routines at the time and Red proclaimed, "I'll tell you what Tom, if you clean up your act, you can use my material." He told Tom that his humor was too suggestive and that it shocked people into laughing. He instructed Tom to do every show as if his mother, a priest, and a nun were in the audience. Tom's approach to comedy changed that very night. One of the dominant factors in Tom's life has been the quiet, sincere friendship he developed with Red Skelton over the years that followed. Never a night went by at the Tom-foolery that Tom didn't mention Red. This friendship took on an even more significant, poignant turn for Tom when Skelton sent him W.C. fields' famous twisted pool cue. Fields used the twisted pool cue in a classic vaudeville routine with Ed Wynn eliciting laughs under the pool table. Finally, Fields "discovered" Wynn under the table and walloped him with the cue. Fields had taken a liking to Red Skelton and had given him the cue about a year before he died. 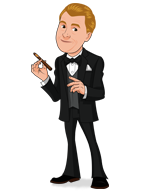 Tom feels he can never achieve a higher tribute than that in Red's note which accompanied the pool cue. . ."I don't know of anyone I would rather pass it on to for safekeeping than you!" After 11 years performing at the Tom-foolery, Tom wanted to move on. He asked Red for his advice and he suggested, "Take 10-15 minutes of your best material and perform it pantomime to music and you'll be able to work any place in the world - you'll have no language barrier." Tom took Red's advice and after six months of rehearsal moved to Paris, France where he was one of the featured acts at the world famous Crazy Horse Saloon. Tom returned to America in 1991 and continued his comedy magic career until 1996 when he began writing 'Tom Mullica as RED SKELTON - The Legend Continues', which is now featured in theaters throughout America and Canada. Purchase the Tom Mullica LIVE product. This is your ticket. I first saw Tom at the Tomfoolery many years ago and it was then and remains one of the greatest shows I have ever seen in my life. I went back several times and it was always fantastic. This lecture is a combination of Tom showing some of his stuff, but more than that. Tom tells stories from days gone by and reminds us of such performers as Karol Fox, Duke Stern, and many others. It is wonderful to hear him reach back and remind the listeners about the people he has worked with and the wonderful brotherhood of which we are a part. Listening to this lecture made me proud to be a magician, not because I learned some great tricks (though I did) but because magicians are a family. If you need to be reminded that there are still good people in the world, listen to this lecture. If you need to laugh, listen to this lecture. If you are down and feel as though things will never work out for you, listen to this lecture. Tom is one of the treasures of magic and it is wonderful that Penguin was able to save 3 1/2 hours of treasure filled conversation. I love Tom Mullica and I loved this lecture. I think you will too. Don't get me wrong, the five stars are for the fact that I'm a big fan of Tom Mullica and had me in stitches throughout this lecture. What I am disappointed with is that Penguin has mentioned that one of his tricks he will be doing was Karrel Fox's Torn and Restored Card. It isn't even in the lecture! This is false advertising! That was the only trick I was looking forward to learning! I had the opportunity to see Tom Mullica at the IBM Convention in Jacksonville. I attended his lecture, and his performance the following night. What a great lecture, from a wonderful man. He recently passed on this week. I feel so grateful to have met him. This lecture is amazing and really captures what took place in Jacksonville. He teaches you a lot about magic, but also about life. 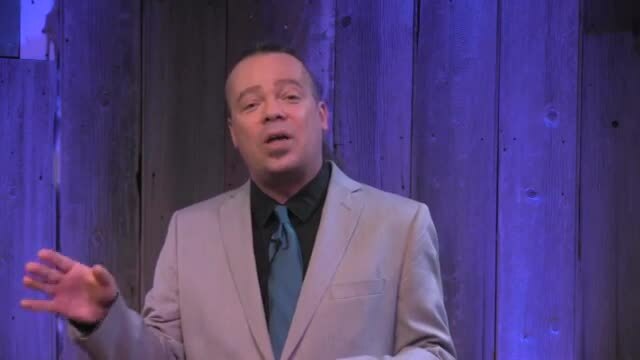 I HIGHLY recommend this lecture, especially if your a younger magician as it really gives you scope on how to map out your career, as well as tidbits on performance, experience, and timing that you can get no where else. If it's Tom Mullica you know it's a fun time! Tom can get a laugh from practically anything. His way of looking at things comes from a very different angle and mind set. What he says and does becomes naturally funny and he has the personality to have it all work. His knowledge of magic is vast and he sees ways of presenting things that get boiled down to s near perfect essence by the time he decides to present his latest idea. His comedic delivery and timing are a very deceptive misdirection, meaning the combination of his humor, wild ideas and masterful delivery makes for so much fun that your rocking with laughter from beginning to end. His ability to develop a method is taught in this lecture and you will find just how well he wroks out all the details and show you methods that are so deceptive that you wonder how he could think of all these things that he hones in on as he develops and teaches his methods of fooling. A great fun evening or whatever time you decide to watch this lecture...and you should watch this lecture! Tom stated himself that this is last lecture. He has exposed all his pet routines and bits over the years and this lecture felt more like a recap. His routines though seem so personal to him that very few (if any) would be able to adopt them for themselves. I still would have liked if he presented his picpocket routine and explained why he felt certain bits still do not work. That would have been gold! The best part for me was when he was reminiscing and telling his stories. Trick-wise, the cards across was solid, and the shrinking napkin has always been good for impromptu situations. After this lecture, I am inclined revisit cigarette tounging but using lollipop sticks or licorice instead. Also, I am looking forward to the release of his "appearing table". Tom Mullica is a world class Comedy Entertainer. This is the best investment you can make, don't waste any more time!! Learn from a LEGEND. Thank you Penguin Staff for getting Tom to do this lecture. Please consider bringing him back,with his wealth of knowledge,for a second lecture. Everything Tom Mullica has to say about Magic and entertaining should listened to and this lecture is packed not only with great magic and bits of business but it also is crammed with valuable information about what makes a great entertainer. Being that Tom is no longer with us it is something of a poignant watch too but that only serves to contribute to making this a couple of hours that every serious entertainer should take the time to study. Highly recommended. We are so lucky to have access to this lecture. Thank you Penguin for putting it together. I live in Poland and got interested in magic 15 years ago. One of the first "serious" props I purchased was the Mullica Wallet. I saw a short video and that was it. The guy seemed to be nice and funny, so I started searching for more, and discovered that Tom is an absolutely great and versatile entertainer. I learned that he stopped performing magic and was doing that Red Skelton tribute act. I didn't know who Red was, so I started researching. Then I learned about the leukemia and hoped he would persevere, which I learned he did. It is good that this video is available, where we can hear his deep voice, and enjoy the laughter, the joy and the magic that was Tom Mullica. Tom Mullica live is fantastic,so funny,and great magic. Thank you so much to Pinguin Magic to share all this gold magic with people all over the world..